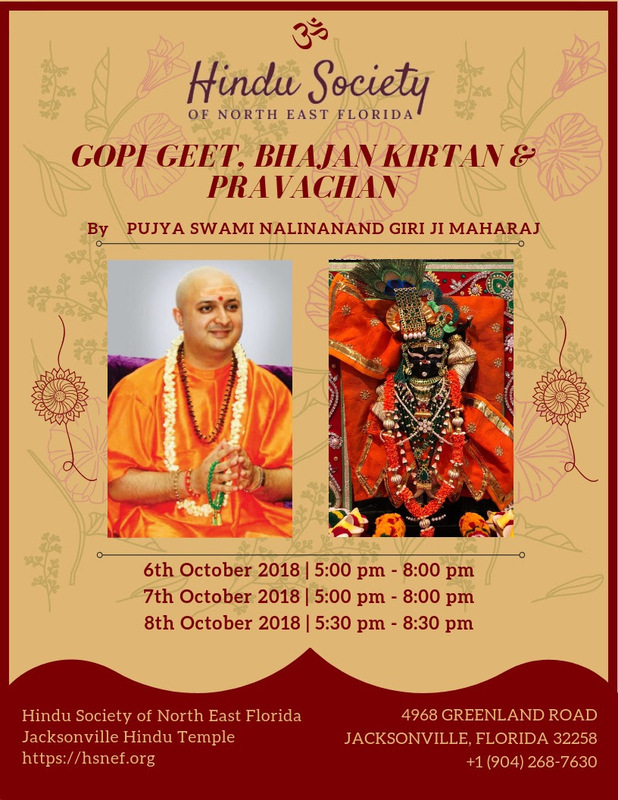 Gopi Geet is a sub-section in the bigger scripture of Shrimad Bhagwat. It is considered to be the most enchanting part of Krishna Leela (spectacle of Lord Krishna). It is a narration of how Lord Krishna, the mischievous kid who steals butter becomes the life-line of all Gopis. The Gopis are so besotted in the love of the Lord that everything else in the world seems irrelevant to them. Gopi Geet, in principle, presents another facet of attaining unification with God, i.e. true and unconditional love. DISCLAIMER: HSNEF does not specifically endorse any of the organizations, individuals or positions listed in our emails, newsletter or website. Inclusion of such information or resources on HSNEF’s emails, newsletter or website does not constitute or imply endorsement or support for such information or resources by HSNEF and is included with the sole intent to provide information and awareness. HSNEF shall not be liable for any claims, charges, demands, damages, liabilities, losses, and expenses of any nature, including without limitation any compensatory, incidental, direct, special, punitive, or consequential damages, loss of use, loss due to damage to property, claims of third parties, or other losses of any kind or character arising out of or in connection with the use of the HSNEF’s website, emails, newsletter or any links or information they contain. The user/recipient of this information assumes total responsibility for carefully assessing whether any article, product, service, person or vendor will meet the needs of his/her specific circumstances and is advised to seek appropriate professional advice in doing so.